Structural Pallet Racking is manufactured from heavy duty hot rolled steel to withstand the most rigorous of applications. Structural pallet rack systems provide 100% durability and it’s popular in heavy-duty applications like freezers, coolers, and distribution facilities. Offered in various configurations. 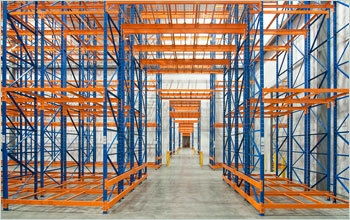 Structural Pallet Rack is commonly used in Push Back Rack, Pallet Flow, Drive In/Drive Thru applications.